Remodelers have slowly started incorporating virtual and augmented reality into their design sales process. While some are willing to go all-out with headsets and remotes, others might feel more comfortable starting with something more familiar: an app and a computer. 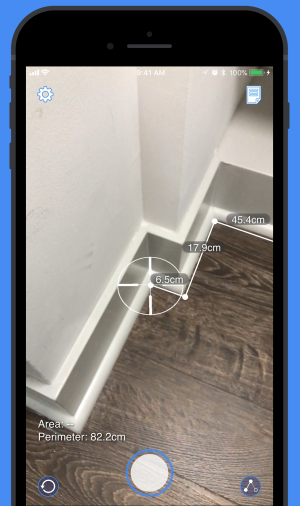 PLNAR (pronounced like “planner”) is an augmented reality (AR) app that allows users to measure spaces within their homes. They can measure floors, ceiling height, doors, windows, and 3D objects like kitchen islands. Specifically, PLNAR is intended for homeowners to take measurements of their homes themselves, then send it on to pros. Greff, who has 20+ years of experience in enterprise software, developed the app because, while AR is being used on the exterior of the homes in the forms of drones and flyovers, he felt that the same technology was being underutilized in the home’s interior. That instantaneous creation of a 3D model is vital to PLNAR in that it helps to bring pros “virtually closer” to their customers. Greff says that if a pro is a PLNAR user, then they can add a button onto their website that will allow homeowners to click it, download PLNAR (for free), generate their measurements, and send that data to the pros. Once the project is generated, the salesperson will get a notification via email that a new project is available on PLNAR. 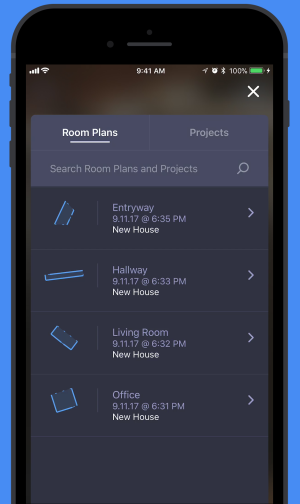 When they log into their PLNAR account, they get the homeowner’s information, the full layout of room(s), measurements, a 3D view of the space, a 3D model of the space, and CAD files. Greff adds that the information is available in real-time and pros can download and use the information whenever they want. Greff says PLNAR customers have reported an 80% reduction in closing time when using the app. He further reports that not only are pros saving time from leaving the office to take measurements, they also save an additional hour by having a 3D model rendered for them. There is a fee associated with PLNAR. Each project costs $10, but the company offers bundled discounts to pros. In addition, each project is considered to be a unique postal address. This means that whether Jane Homeowner at 123 Main Street wants to do her kitchen in 2018 and basement in 2020, PLNAR counts both rooms as one project. As of now, the app is only available on more recent iOS devices, as the app needs the AR capabilities iOS 11 and newer iPhones/iPads provide. Greff says that he and his team will have an Android solution once the technology is available. Marisa is the assistant editor for Remodeling and ProSales. She holds a BA from Randolph College (founded as Randolph-Macon Woman’s College), where she studied the history, English, and dance.